Betty Lou (Penelope Ann Miller) is a librarian, and married to Alex (Eric Thal), a police officer. But Alex and pretty much everyone else is ignoring her. And Betty Lou really doesn’t know how to make somebody pay attention. Not even when she finds a murder weapon is she able to make anybody listen to her. But she has had it and when she accidentally fires the gun herself and is arrested, she confesses to the murder herself. And suddenly all eyes are on her. The Gun in Betty Lou’s Handbag is a very, very stupid film that makes absolutely no sense and isn’t funny despite how much it tries to be. It’s a film best forgotten (and it probably would have been already if it wasn’t for Julianne Moore’s small supporting role. At least that’s the reason I know about the film in the first place). Claire Bartel (Annabella Sciorra) is very happy with her husband Michael (Matt McCoy), and of course their 6-year-old daughter Emma (Madeline Zima). She’s also pregnant again. But when she goes to see her gynaecologist, Dr Mott (John De Lancie), he sexually assaults her. Claire calls in the authorities and Mott commits suicide to escape the scandal. Months later, Mott’s widow (Rebecca De Mornay) comes to the Bartels’ house to work as a nanny under a false name. Not knowing who she actually is, Claire hires her, giving her the perfect opportunity to get revenge for her ruined life. The Hand That Rocks the Cradle is simply awful. Misogynistic and stupid on some many levels, I could barely stand it. It’s a catastrophe. Suburbicon is a picture-perfect 1950s community, filled with happy, white, affluent, nuclear families. But then the Mayers (Kamirah Westbrook, Tony Espinosa, Leith M. Burke) move to Suburbicon. They are black and their arrival brings Suburbicon’s facade to crumble, exposing the community’s racism. 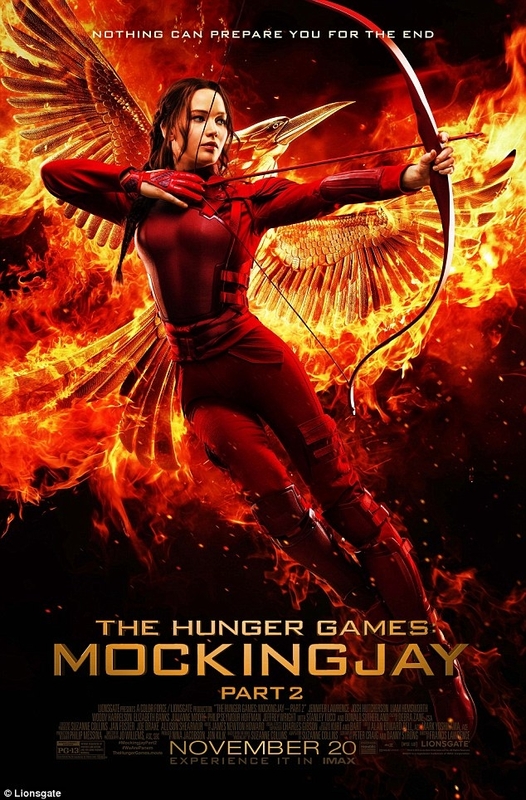 Their next-door neighbor Gardner Lodge (Matt Damon) has other issues, though: he, his wife Rose (Julianne Moore), her twin sister Margaret (Julianne Moore), and their son Nicky (Noah Jupe) are being robbed in their own home, with dire consequences. But that’s only the beginning of the troubles in Suburbicon. I found Suburbicon pretty disappointing. I thought that it would be about racism, but it revolves much more around the Lodges and their story. And that story does have a Coen-esque feel, but one that doesn’t quite come together. Eggsy (Taron Egerton) has very much settled into being a Kingsman agent, and into dating Swedish Princess Tilde (Hanna Alström). 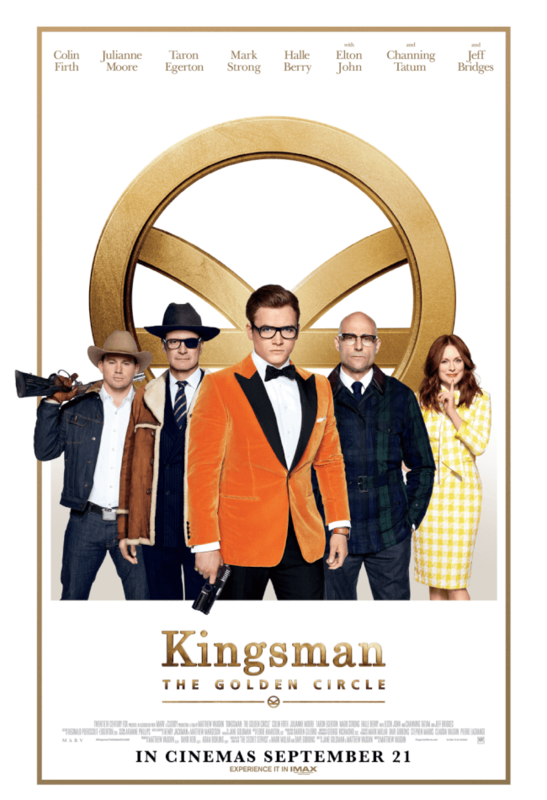 But just when everything seems to calm down, a devastating attack that strikes at the very heart of the Kingsman HQ leaves Eggsy and Merlin (Mark Strong) the only survivors of the agency. When they follow emergency procedure, they discover that there is another agency in the USA: Statesman. They fly there to look for help in tracking down their attacker. I very much enjoyed the first Kingsman film and was very much looking forward to this sequel, but unfortunately I was disappointed with it, despite some pretty good ideas. Maggie (Greta Gerwig) wants a child and she doesn’t want to wait until she meets the right man for her, she wants it now. So she asks old acquaintance Guy (Travis Fimmel) if he would be willing to give her his sperm and he agrees. But right around this time, she meets John (Ethan Hawke) and falls for him – and he for her. John leaves his wife Georgette (Julianne Moore) and the two move in together. A few years later, Maggie has a lovely daughter, but her love for John has cooled substantially. So she hatches the plan that maybe she could get him back together with Georgette. 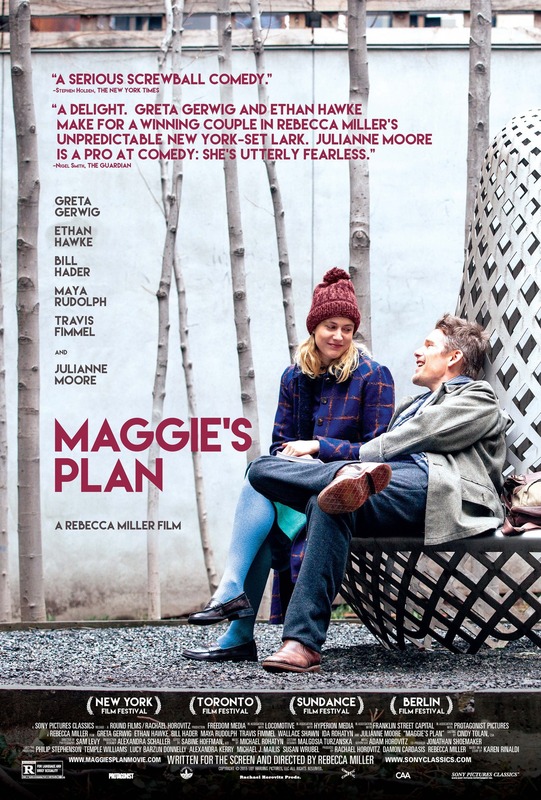 Maggie’s Plan is an absolutely adorable, wonderful, funny and sweet film. It proves that a light film doesn’t necessarily have to be stupid. Laurel (Julianne Moore) falls in love with Stacie (Ellen Page) and vice versa. The two build their life together, a life that Laurel carefully shields from her job as a cop and even her partner Dane (Michael Shannon). But then she is diagnosed with cancer and things are not looking good. As Laurel realizes that she’ll probably not survive, she knows that she has to fight to have Stacie and her (civil) partnership with her recogniced by the city council to make sure that Stacie will get the spousal pension after Laurel’s death. But the council is not willing to make that happen. 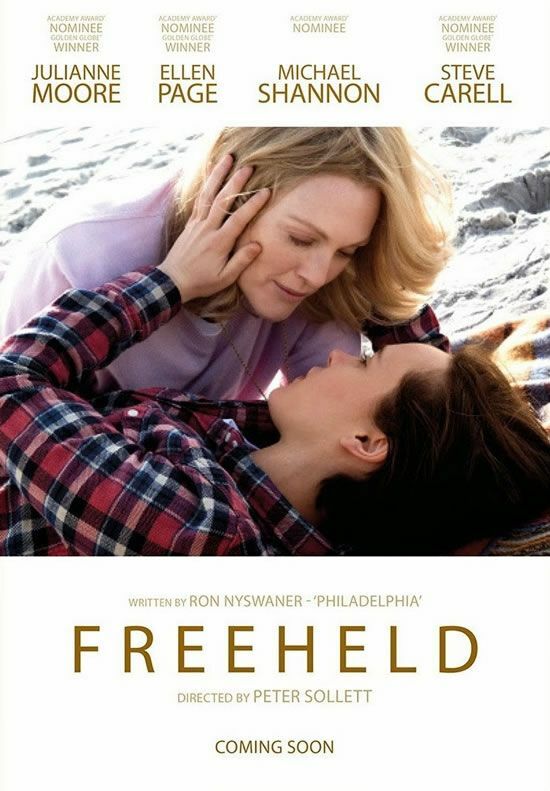 Freeheld is a conservatively made film about a progressive topic: while the filmmaking here is not revolutionary, the fight for queer rights is and as we keep seeing over and over again, it’s unfortunately far from won. So keep the films on coming and if they push every emotional button in the most obvious way, it’s even better: people obviously still need the basic lessons. Alice Howland (Julianne Moore) is a very successful professor for linguistics. She’s happily married to John (Alec Baldwin) and has three children (Kate Bosworth, Hunter Parish, Kristen Stewart) with whom she gets mostly along. But Alice has noticed that she keeps losing words and has trouble remembering things. Shortly thereafter she is diagnosed with early onset Alzheimer’s and has to face the fact that she will not only lose her memories, but also herself and her entire life in a very short while. 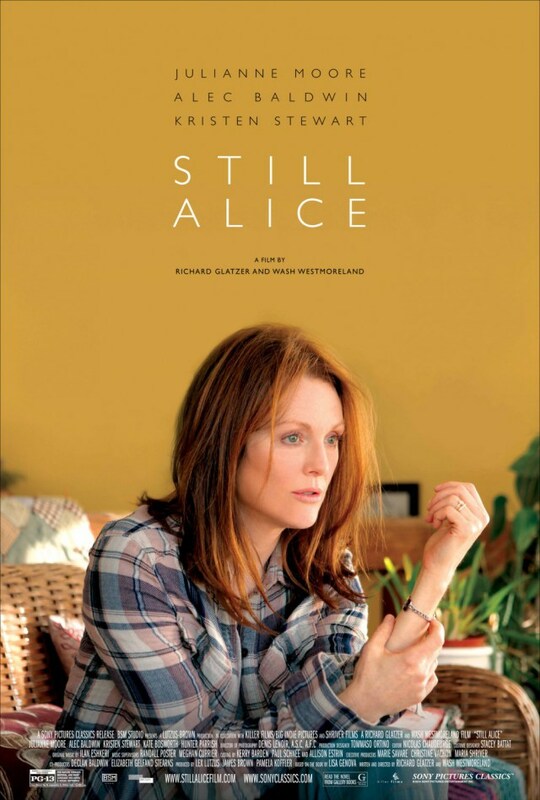 Still Alice was a touching and smart film with really wonderful performances. 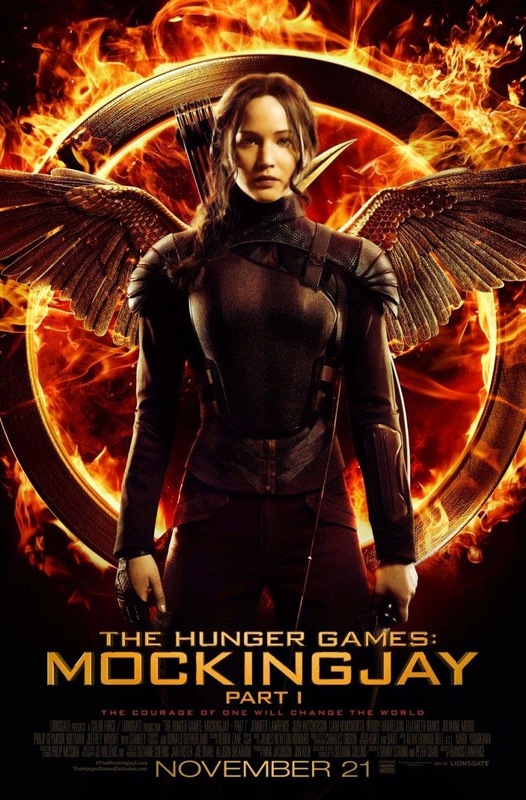 I cried a lot which is probably what the film is made for. Master Gregory (Jeff Bridges) is a spook, a warrior and warden against the supernatural. But he’s the last of his kind, especially since his latest apprentice (Kit Harington) just met his unfortunate demise at the hands of the evil witch Mother Malkin (Julianne Moore). Malkin had been imprisoned for a very long while, but she managed to free herself and plans on taking revenge and get her power back. So Gregory hires himself a new apprentice, Tom (Ben Barnes), and together they will do anything in their power to stop Malkin. 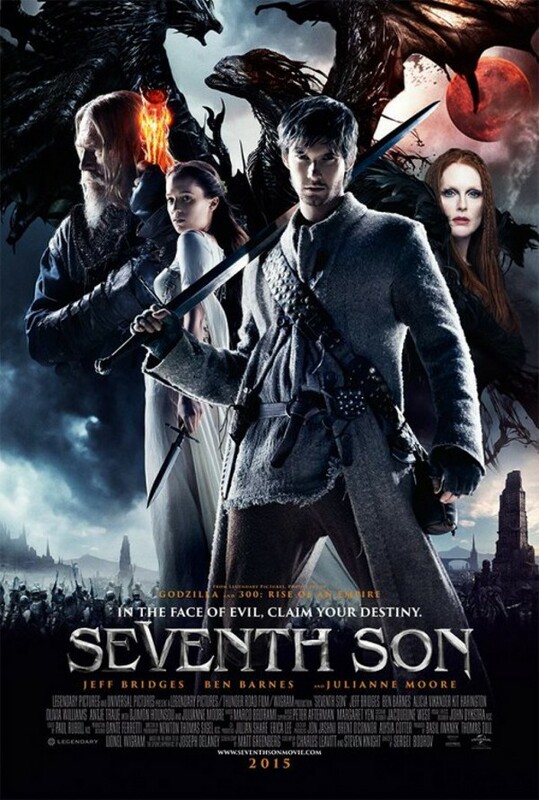 Seventh Son was okay. Not quite as craptastic as I expected, but not good either. It was entertaining enough, but I kept wishing that I was in the film that Julianne Moore was obviously in, but the rest of the cast not so much.